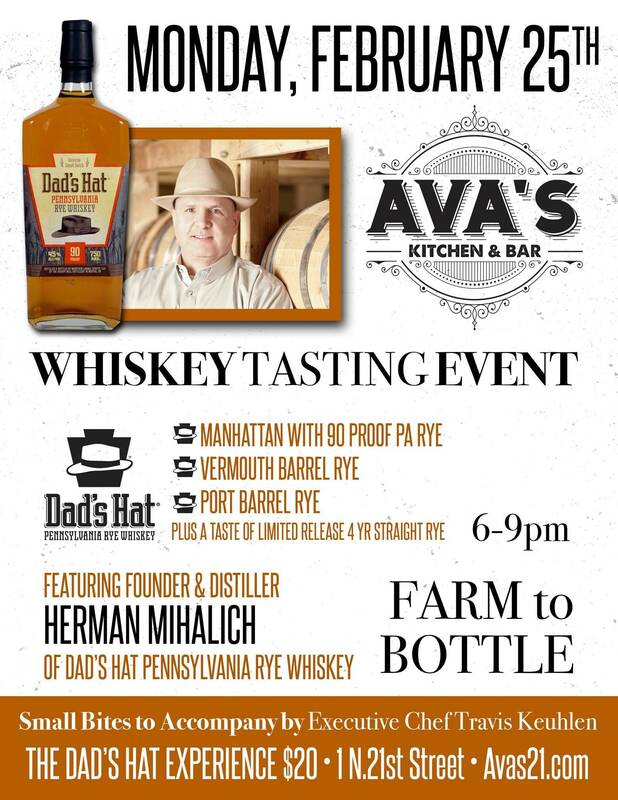 Enjoy a Dad's Hat cocktail with 90 proof PA. Rye, Dad's Hat Vermouth Barrel Rye, and Dad's Hat Port Barrel Rye. 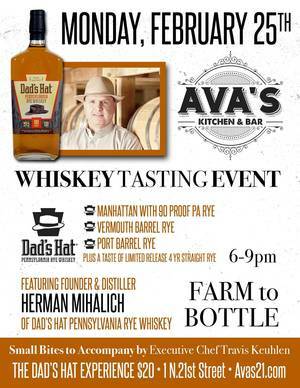 Along with these three awesome whiskeys, you will receive a taste of Dad's Hat limited release 4-year Straight Rye. Our Executive Chef Travis Keuhlen will also be providing small bites to accompany your whiskey tastings. You'll definitely not want to miss out! Come and enjoy from 6-9 p.m. - Only at Ava's Kitchen & Bar, located at 1 North 21st Street in Kenilworth. Tickets for this event are $20, which you can purchase at the door.